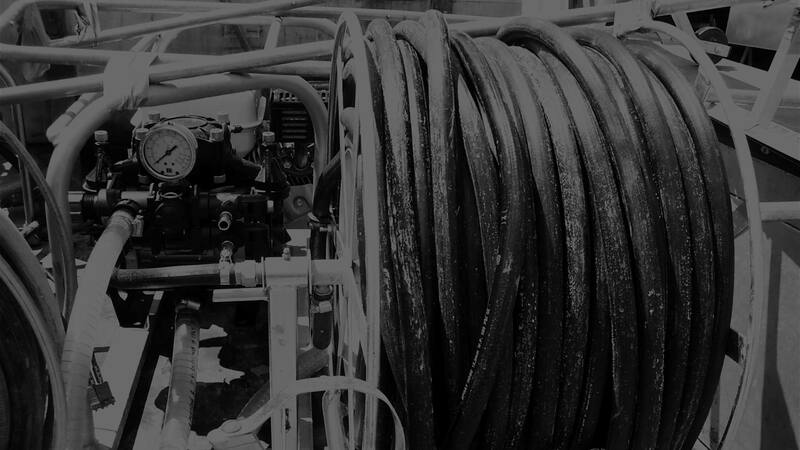 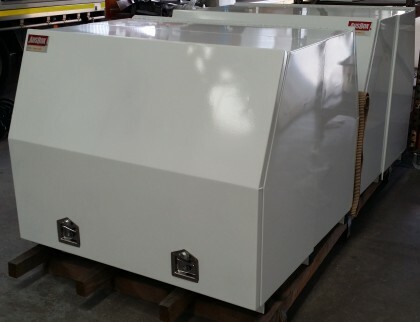 These boxes are manufactured for the rough conditions encountered by contractors involved in the mining industry, and other trades operating in similar environments. 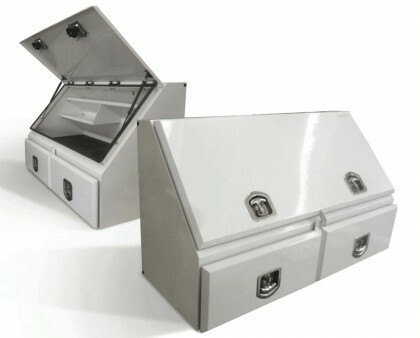 The body of these boxes is made from 3mm aluminium sheet, and finished in Pearl White powder coat. 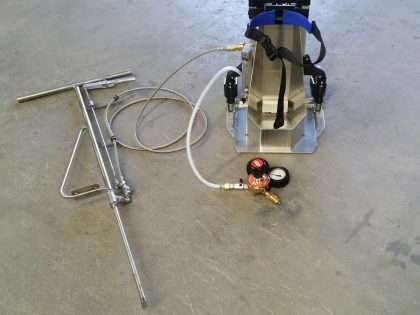 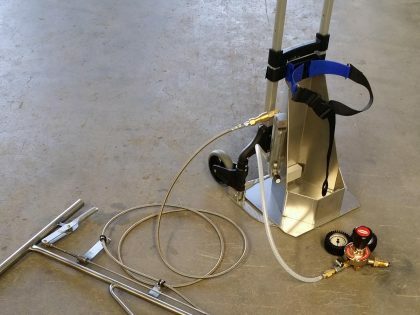 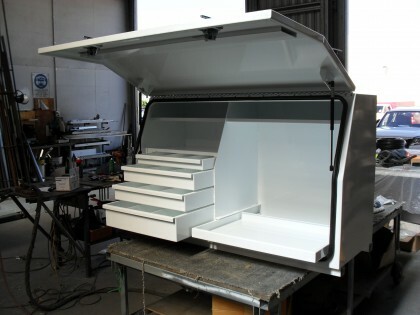 The body joins are fully TIG welded and internal brackets are MIG welded. 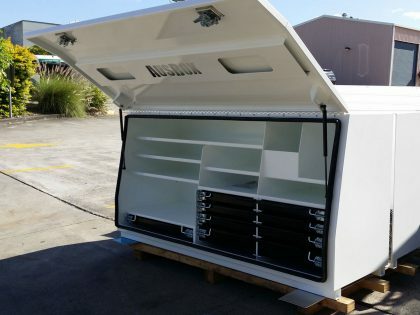 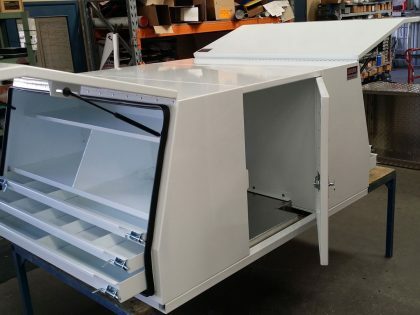 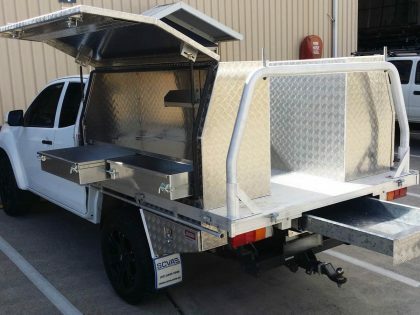 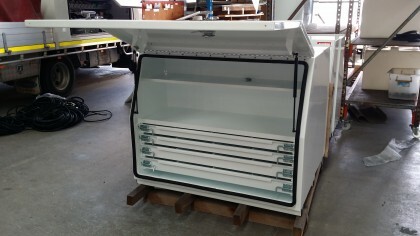 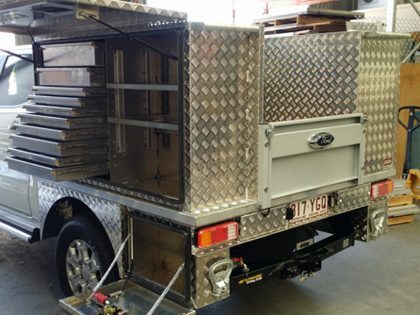 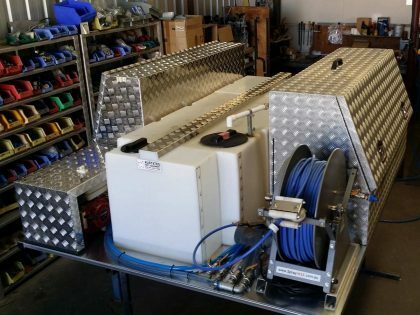 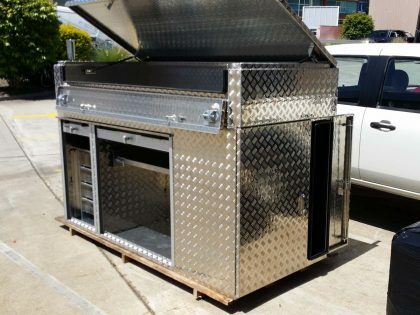 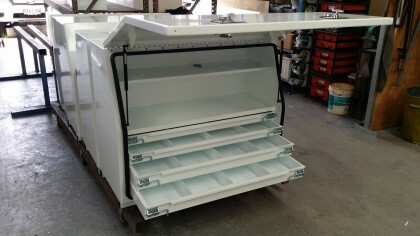 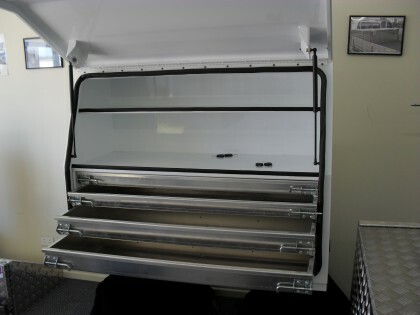 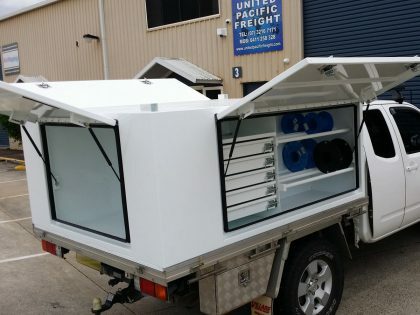 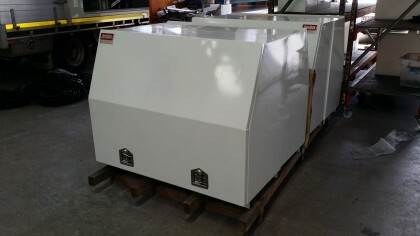 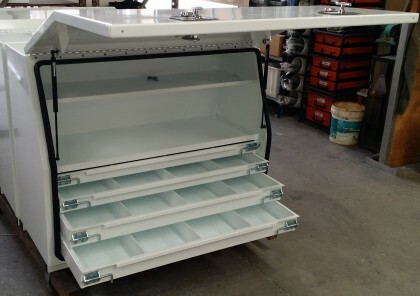 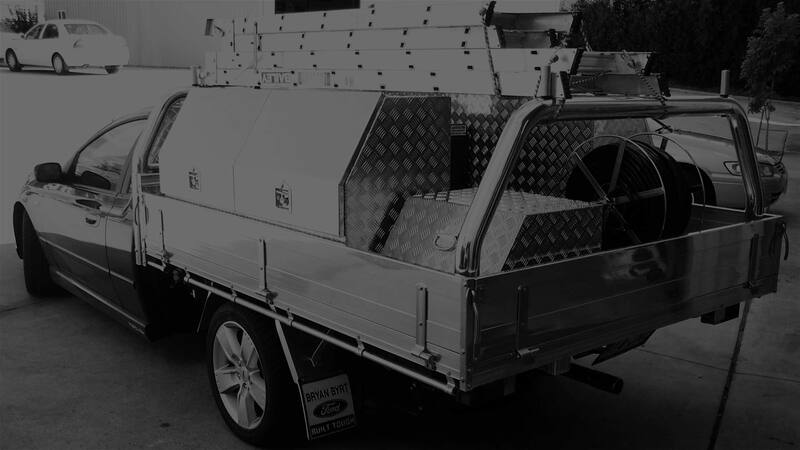 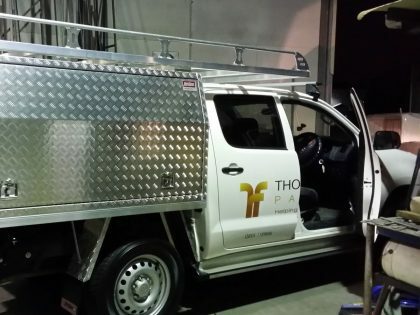 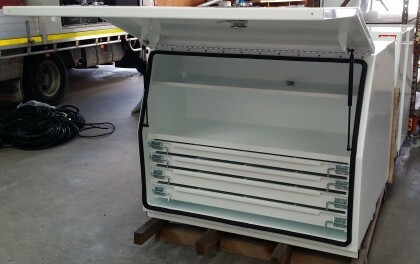 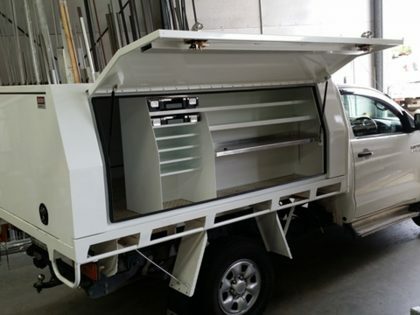 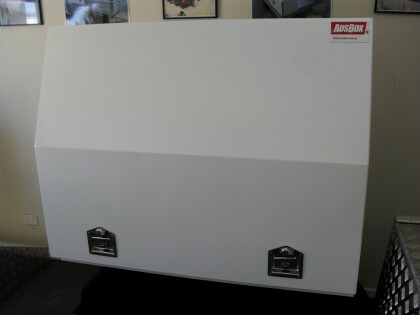 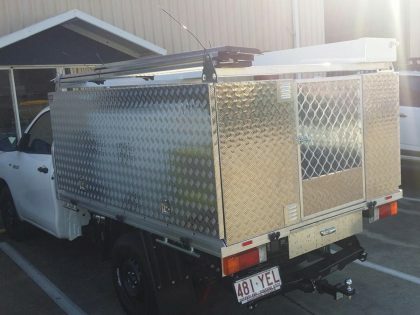 If you’re interested in our mining ute boxes, get in touch with us today and we’ll get you sorted.